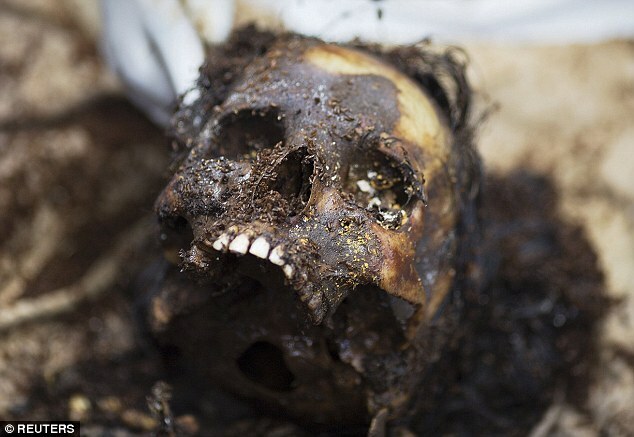 Rohingya & Bangladeshi Illegal Migrants Mass Graves & Detention Camps in Malaysia and Thailand. 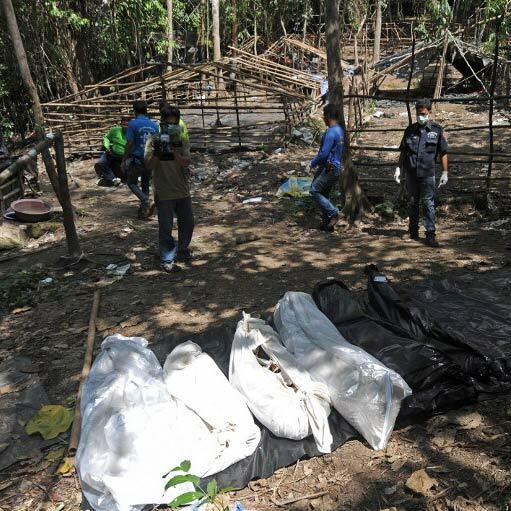 It is indeed sad and shocking to learn of these mass graves of Rohingya and Bangladeshi illegal migrants and the existence of so many illegal detention camps set up by human traffickers within our nation's borders in the dense jungle and forests of Wang Kelian in Perlis. Similar large numbers of mass graves had been discovered in the bordering jungles of Thailand where evidence of human trafficking had been found by the Thai security forces. The gruesome remains of the victims of poverty in Bangladesh and religious plus ethnic cleansing genocide of Rohingya Muslims by Myanmar's Buddhist murderous rampaging terrorist monks have led to the mass exodus of the beleaguered masses of impoverished and brutalized people from the Arakan region and bordering Bengalis of Bangladesh. I wonder what have the Forestry Department Rangers of both Malaysia and Thailand been doing all these while that these massacres and setting up of such human trafficking illegal camps has escaped detection of both countries security forces and authorities? For the foreign media to blindly accuse both Thailand and Malaysia of having such slave camps would be grossly irresponsible because the governments of both countries had no inkling whatsoever of such camps and mass graves because those who were employed as Forest Rangers and Security Personnel had not been doing their job as they should have! 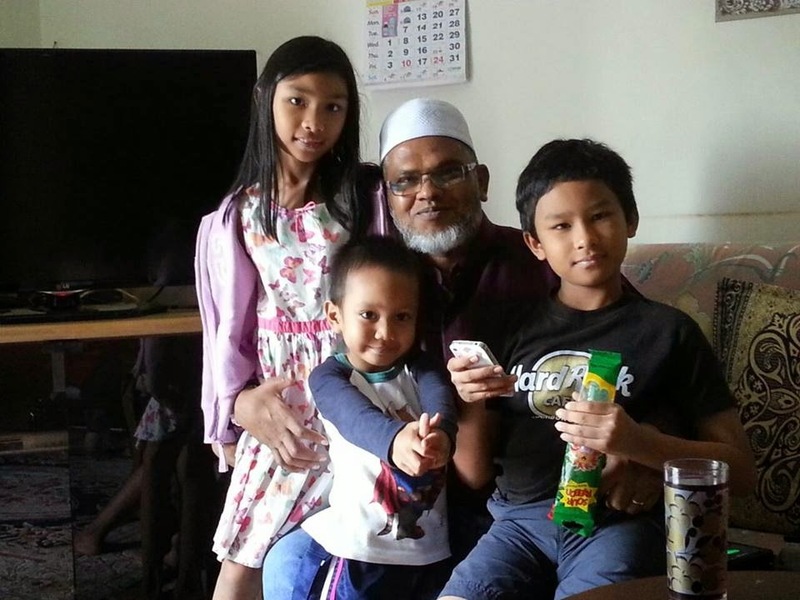 Malaysia has been kind enough to provide refuge for quite a large number of these Myanmar Rohingya illegal refugees and the equally large number of Bangladeshis who have in a way added to our country's social and economical burdens. We have allowed millions of illegal migrants to remain within our borders on humanitarian grounds at the risk of alienating our own citizens who have been robbed of their fair share of economic opportunities due to the influx of foreign citizens from mainly Indonesia, Thailand, Myanmar, Vietnam, Cambodia, China, Philippines, India, Pakistan, Bangladesh, Nepal, Nigeria, Uzbekistan and other countries from around the world. Imagine if our authorities such as our Immigration Department has been as strict and efficient like the Immigration, Customs and Enforcement Border Patrol officers of the United States of America, Canada, United Kingdom and Australia where those countries who often trumpet themselves as being the bastions of liberty, freedom and human rights champions would not think twice of putting those illegal immigrants on the next flight out of their esteemed nations back to wherever they came from? 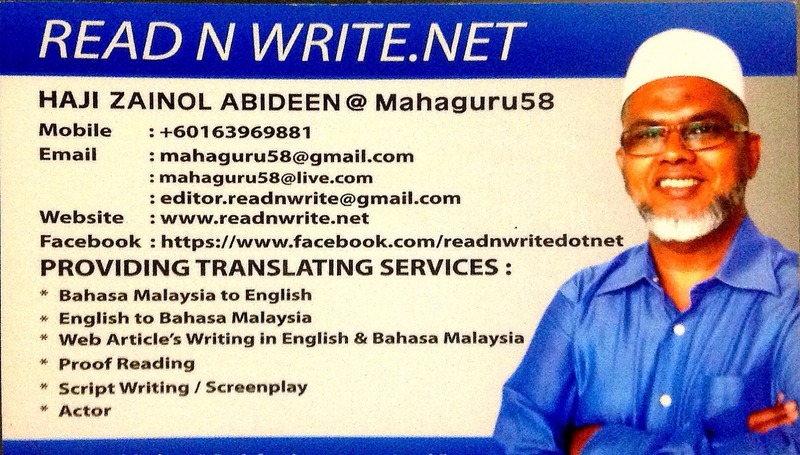 Malaysia which is still a developing country has on humanitarian grounds been tolerating the teeming ever increasing arriving masses of foreigners both legal and illegal who have been robbing our lower income group Malaysian citizens of jobs, trading and other business opportunities all these years! 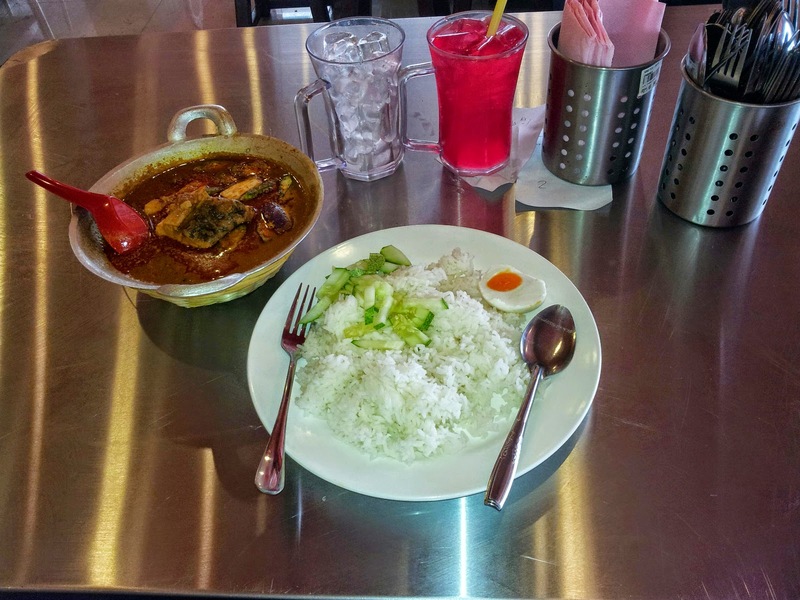 You can't miss coming across so many foreigners when you go to the cities, towns and even the most obscure rural areas here in the Malaysian Peninsular, Sabah and Sarawak! 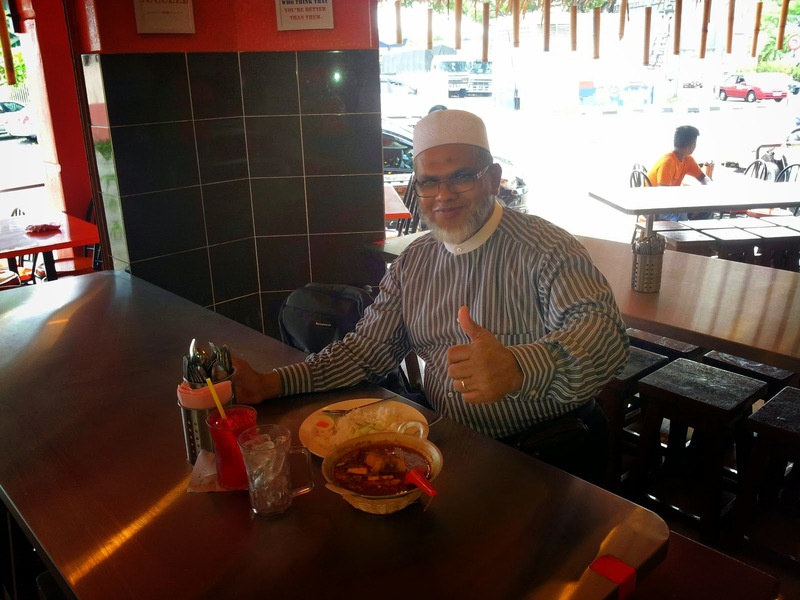 Foreigners seem to have taken over Chow Kit, Masjid India, Kampong Baru, Selayang, Ampang, Cheras and all areas here in the Klang Valley! Try going to Klang? So many foreign workers both legal and illegal would be around that you would feel as if you are in a different country! So, to learn about these secret detention camps and the discovery of so many mass graves is really something that we never imagined would take place here along the borders of our beloved nation and that of our immediate neighbor, Thailand! All I can pray for is that our country's authorities and those of Thailand will go after the human traffickers and see to it that they are dealt with in the severest of manners! Capital punishment for each and every rotten mass murderers who have killed or caused the Rohingyas and Bangladeshis to suffer and die such horrible deaths in those jungles. Now, let's see for ourselves the reason why the Rohingya Muslims are fleeing from Arakan [now called Rakhine] which is their homeland in Myanmar [used to be called Burma]? Here is the Devil instigating the massacre of Myanmar's Rohingya Muslims! This is the reason why they risk their lives fleeing the rampaging murdering Buddhist monks and their hordes of fanatic bloodthirsty devilish Myanmar nationals who spare no one in their ethnic cleansing of the Arakan Rohingya Muslims! So, will the Americans, British, Europeans, Australians, Canadians save these Rohingya Muslims? Fat chance of that ever happening! In the meantime, Malaysia and Indonesia are the ones having to shelter these victims of the fanatical Burmese Buddhists! MATTA 2015-2017 40th AGM ~ Time for a fresh new credible leadership! The Malaysian Association of Tour & Travel Agents are due to have their 40th Annual General Meeting (AGM) on Saturday, 23rd May 2015, at 10.00 a.m.
Venue is at the Manhattan Ballroom, Level 14, Berjaya Times Square Hotel, Kuala Lumpur,1 Jalan Imbi, 55100 Kuala Lumpur. From what I have learned from friends who are in the Travel & Tours industry, many are not happy with the current leadership of MATTA. 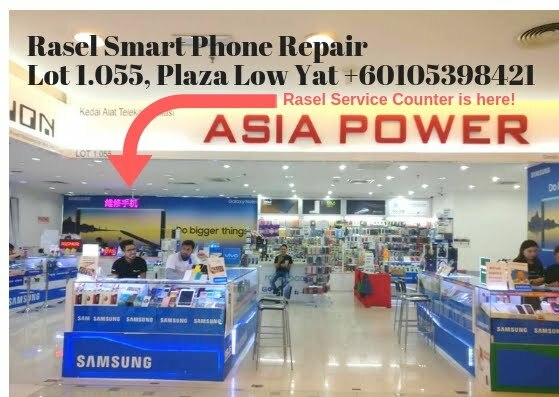 They complain that many of their association members have been neglected by the present leadership of MATTA and a putrid air of discontentment blows rancidly through the nation's main association that holds sway over the daily business of running and managing the travel and tourism related field of Malaysia. Whether we like it or not, the current status for tourism arrivals in the country has seriously been affected by the recent tragedies involving the loss of MAS Flight MH370 and the downing of MAS MH17! When I stayed at MAHKOTA HOTEL at Melaka recently, I had a conversation with the Hotel's F&B Manager with regard to how the hotel is surviving? He said that there has been a considerable drop in the number of Chinese tourists who are visiting Malaysia since the MH370 tragedy! Quite a major portion of the ill fated and still missing flight were Chinese tourists. Malaysian Tourism needs to have the Chinese tourists visiting us for they are the ones who keep our Tour & Travel Agencies in the black despite the notoriety of quite a sizeable number of the Chinese tourists who have become infamous for their brash uncivilized mannerisms which have driven major tourist destination countries like Thailand crying foul due to the antics and eccentricities of the folks from China! Adding to the drop of the number of Chinese tourists coming to Malaysia, the internal politics of the association has given cause for a group from within MATTA's ranks to call for a fresh new leadership of MATTA! They have set up a website here and call themselves as the MEMBERS TEAM! Quite straight forward in their appeal to the members of MATTA, they are led by Haji Abdul Rahman bin Md. Ali, a multi-award winning well established travel industry player who is stepping forward for nomination as the new MATTA President for the 2015-2017 term! Haji Abdul Rahman who has been in the Malaysian Travel & Tourism Industry for more than 30 years is offering himself to lead MATTA as he and others in the major tour & travel association of Malaysia find the current leadership seriously lacking in the initiative to open up the many doors of opportunity in our developing country for the benefit of its members! Haji Abdul Rahman shares that the members of MATTA are not getting what they should because the current leadership simply do not bother to listen to their grievances and are often at loggerheads with the Ministry of Tourism which in turn causes the industry players like themselves to lose out in the long run. A cause for concern is shown here. The security situation in the remote islands off Sabah is still not that secure as proven by the recent kidnapping case of two Malaysian Chinese civilians. Ocean King Restaurant owner Thien Nyuk Fun, 50, and a customer, Bernard Then Ted Fen, 39, were kidnapped during peak dinner hours at a popular seafood restaurant in Sandakan by four armed men dressed in military uniforms last week. The victims are now believed to be held on a southern Philippine island. On July 27 last year, a marine police constable, Zakia Aliep, 27, was kidnapped, while his colleague, Corporal Ab Rajah Jamuan, 32, was killed in the incident. Zakia was however released unharmed on March 7 this year. Read here. On June 16, 2014, a fish farm operator, Chan Sai Chiun, 32, was kidnapped from the farm before being released on Dec 10 the same year. So, based upon real time situation, the Deputy Home Minister was not that far off the mark when he was voicing his opinion. Closing down the resorts of the remote islands would not be the best of options but seeing to the improvement of security enforcement would be a better alternative. But then again, who would want to go holiday in a prison like environment? So, that leaves all parties concerned in a stalemate. Discuss and negotiate. That should be a better option than to launch a media war against the very ministry that regulates and oversees your business! That's what the MEMBERS TEAM are calling for. I also became privy to a police report that involved the shenanigans of the current MATTA leadership involving a member of the travel industry but won't comment on that because to me the overall improvement of our country's travel & tourism related industry is more important for me to focus upon. It's enough that I agree with Haji Abdul Rahman's call for the registered members of MATTA to bring about a fresh new credible, forward thinking new leadership where our country and all related businesses gain new grounds and open up a whole new frontier of 'win-win situations' where Malaysians from all walks of life will prosper and get to enjoy more benefits with a wiser leadership at MATTA! Constant bickering and being at loggerheads with the Ministry of Tourism isn't going to add more funds to everyone's coffers! Revive the spirit of MATTA’s establishment 35 years ago to be the VOICE of ALL MEMBERS, to champion & uphold the benefits of ALL MATTA MEMBERS, not only for a few selected members. Elevate MATTA’s CREDIBILITY & INTEGRITY as an association of UNITY by being represented together with BUMITRA, MCTA & MITA. When you know that those who are supposed to be taking care of the welfare and rice bowls of the general members of your association are more interested in filling their own coffers and those of their close associates instead, it's time to spring clean your leadership and bring in fresh new dynamic people! Time for a better credible fresh new team to lead MATTA I say! 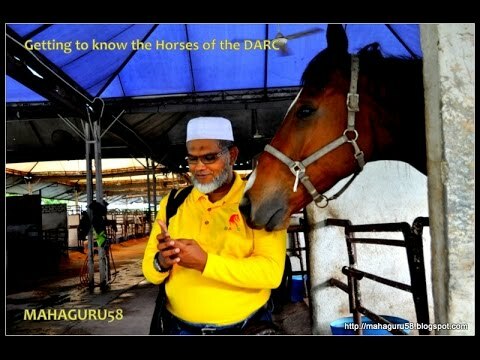 Horse Riding made affordable ~ Now Everyone Can Ride at DARC! Giddyap! All these while, we all know that horse riding is exclusive only to those who have the extra cash to spare and getting to be a member of a riding club is usually the privilege of the rich and wealthy! Well recently, I had the privilege of getting to visit the Denai Alam Riding & Recreation Club whose annual membership is surprisingly quite affordable and open to everyone! Both Malaysians and Foreigners! For just an annual fee of RM180.00, you and your family can become members of this horse riding and recreation club! It is very family friendly and caters to just about everyone's needs and fancies. Both adults and children can have a fun time here for a fee that almost everyone can afford! You can surely say 'Now everyone can ride!' Check out these exclusive photos that I took during my visit there last weekend! I learned from Terry Teo, the Owner and Founder of Denai Alam Riding & Recreation Club that he invested in this 16 acres of land to build a horse riding & recreation club where the membership and riding fees are kept so low that almost everyone can afford to come and enjoy the facilities everyday except Mondays throughout the year! Terry says that both his horses and his staff need a break and well needed rest on Mondays after usually hectic Sundays when his more than 9000 growing numbers of club members would throng the most affordable club on weekends! Denai Alam Riding & Recreation Club is really quite welcoming and the staff there are really quite courteous that I felt very comfortable during my visit. From my conversation with Terry, I learned that he treats everybody the same and doesn't differentiate between his diverse club members. Everyone is treated fair and square and he prefers not to have any discrimination between the haves and the have nots in Denai Alam Riding & Recreation Club! All DARC club members are treated with love and mutual respect by Terry and his staff. Now, that's really good, won't you agree? Every member is treated kindly and equally with the best attention that each club member deserves. It goes without saying that to be respected and treated well, one has to also carry oneself with the proper decorum and good manners that a civil society expects and demands in the first place. Respect is a two way thing. You can't act rudely and in an uncivilized manner towards others but then demand that you be treated like a big shot by those whom you offend and insult, can you? Want to be treated like a king? Then behave nicely and you might get to feel that way when you treat others just as you would like to be treated. Common sense. Back to my subject matter. Observing the do's and don't whilst being at the Denai Alam Riding & Recreation Club. We must observe some basic safety rules. Hehehehe... horses are just like you and me. We can get startled when suddenly someone or something loud takes place! The Malays have a unique human behavior! It's called 'LATAH'! If you get alarmed suddenly ; you too can and might do strange instant reactions or reflexes! DON'T STAND BEHIND A HORSE! Common sense brothers and sisters! Horses are known to kick out at anything they think are going to harm them. It's an imbued defensive reflex that Allah has put in them when He created these magnificent creatures. Please do not put yourself or your kids in danger. DO NOT BE IN THE WAY OF A HORSE! Follow the guidelines and safety procedures when being in the club's premises and riding arenas. Horses are quite big and very strong, powerful animals and if you do not know how to handle them or fail to take heed of all the safety measures when you are in the presence of such creatures, you should first really learn the do's and don'ts of Horseback Riding in order to be safe. Quite a detailed documentary I must say and it will give the viewers lots of information about the horse riding and recreation club where we can enjoy many club facilities with our loved ones at a fraction of the costs that exclusive and elite fancy mancy horse riding and equestrian clubs will charge! Come to think of it. If we put aside a ringgit per day, it will accumulate to RM365.00 in a year. The DARC annual membership costs just RM180.00 for a family club membership. Just .49 sens a day. Isn't that simply awesome? The gut feeling I had in me when I approached one of the horses was that it was gonna take a bite of me but I was pleasantly surprised when it only nuzzled me and even licked my hand when I stroked it's head. A Malay family came by and fed Sebastian, one of the male Australian horses. I took the opportunity to record the event and am sharing them with you here. One of the member's of the DARC, a teenage girl named Pooja was present at the stables and she was quite friendly and willing to help ease my fears by showing me how to be near the horses. She said that she has been a member of the riding club for 5 years already and practically has grown up riding many of the horses there. She even owns a share of one of the horses. She said her share was worth RM12,000.00 and there were 4 shares per horse. Pooja who is in Form 2 said that over the years, she had her fair share of spills and thrills riding horses and she has grown to love them so much that she has spent every weekend at the Denai Alam Recreation & Riding Club since the last 5 years! She wants to be a Vet when she completes her education. Well I wish her all the best and hope that she gets to accomplish what she has set her heart to be. Insya Allah! I for one, plan to join as a member here and learn how to ride a horse! Last time I rode one at Pantai Balok, Kuantan many years back, the poor horse didn't wanna budge! Hahahaha! I weighed much more before! Hope to firm up and get fitter by becoming a horse rider soon. Wish me luck! NOBODY'S PERFECT ~ One of the best 'Teacher' oriented movie I have watched! It's not often that one gets to watch a stirring movie that evokes our emotions and makes us cry one minute and choke up with our care and concern for what is happening to the characters whom we are following in the movie! That kind of a movie is powerful! It really has an effect on us. Makes us feel and experience what the characters are going through. If you are really a compassionate and caring person, this movie will tug at your heart strings and make you cry. A second later you'll be cheering like crazy for the one on screen who overcomes an obstacle, a challenge that cropped up in the character's life. In the amazingly simple but most heartfelt story line. Yes, we don't understand Japanese but thanks to the English subtitles and one's own common sense and general knowledge, we tend to delve into the story and become one with them. That's why I strongly recommend you to watch this movie. You'll learn to appreciate yourself more and what Allah has given us. Hirotada Otatake, who was once a primary school teacher playing the leading role as Sensei Akao is a real life disabled person but he displays such excellence in playing the role that you can only marvel at his tenacity of facing up to the challenges that come up in his real life. Here's an example. Come enjoy this splendid movie that will have you appreciate what you have in your own life more! Have your tissue box ready! Am having my favorite Asam Pedas Ikan Pari at Banda Hilir, Melaka. The food is good and the ambience is just right with the Menjeling Jeling duet song by SM Salim and Siti Nurhaliza serenading me. Saya pergi ke Pawagam Mini P.Ramlee di Kompleks FINAS di Hulu Kelang tengahari tadi bagi menonton filem sulung arahan Ellie Suriaty Omar, pelakon berkaliber dan kini sudah bergelar Pengarah Filem! Sebenarnya sebelum ini saya pernah terdengar tentang filem 'PENANGGAL' ini tetapi tidak berkesempatan untuk menonton nya di pawagam. Rupanya filem hebat arahan Ellie Suriaty ini telah menerima sebanyak 15 pencalonan untuk pelbagai kategori di Festival Filem Malaysia ke 26 dan memenangi 2 Anugerah. Pengarah Harapan untuk Ellie Suriaty dan Penataan Seni Terbaik untuk Nazrul Asraff. Sesudah 2 tahun filem ini di tayangkan di pawagam, ada pula di muatnaik ke You Tube. Tak sesempurna salinan asal tetapi sekadar nak tahu jalan ceritanya, boleh lah. Jika hendak puas menonton filem ini, elok cari DVD nya yang asli dan tonton melalui skrin TV besar dengan sistem bunyi yang bagus. Pasti puas hati. Apa apa pun kita harus ucapkan tahniah kepada Ellie Suriaty di atas kejayaan nya menghasilkan sebuah filem yang boleh di banggakan seperti Penanggal ini dan lakonan mantap pelakon2 utama nya seperti Umi Nazeera sebagai Murni/Penanggal, Azri Iskandar sebagai Syed Yusof Al Attas dan lain lain.